In 2016, there were 36 active 4-H Clubs in Pickaway County with 811 members. Almost 1,000 children participated in 4-H school enrichment programs in their local schools. 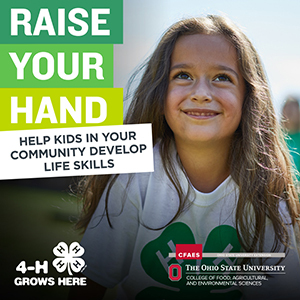 4-H in Pickaway County is lead by Joy Sharp, Extension Educator, 4-H Youth Development.